The intertwining cover painting of David Anstey could be viewed with thematic coherence from all angles. It is a collage-type painting containing many colorful images, that upon close inspection, reveals a spaceship, an hourglass, a woman’s facial features, a few facial profiles, knights on horseback, a solar eclipse and many other references to times past and future. 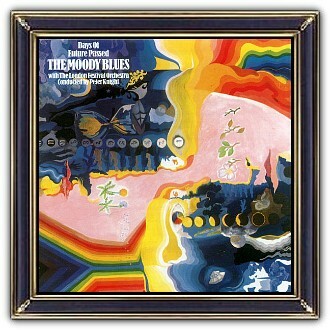 Anstey set the arty standard for all of The Moody Blues’ albums. Pick any record from the band’s career, and you’ll find some complicated art demanding analysis. 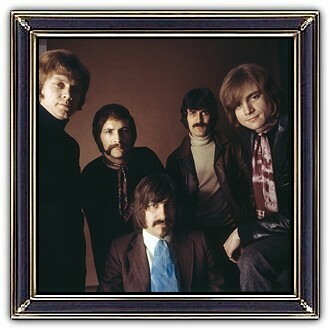 The Moody Blues are an English rock band. 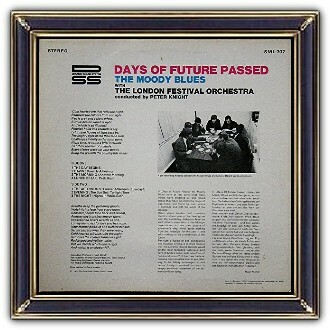 They first came to prominence playing rhythm and blues music, but their second album, Days of Future Passed, which was released in 1967, was a fusion of rock with classical music and established them as pioneers in the development of art rock and progressive rock. It has been described as a landmark and one of the first successful concept albums". 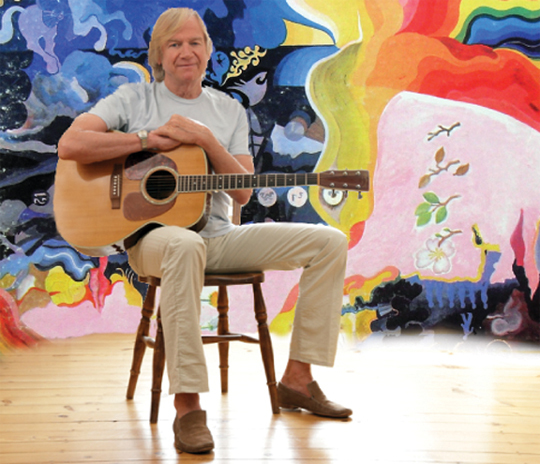 The Moody Blues became known internationally with singles including Go Now, Nights in White Satin, Tuesday Afternoon and Question. They have been awarded 18 platinum and gold discs. Their album sales total 70 million.